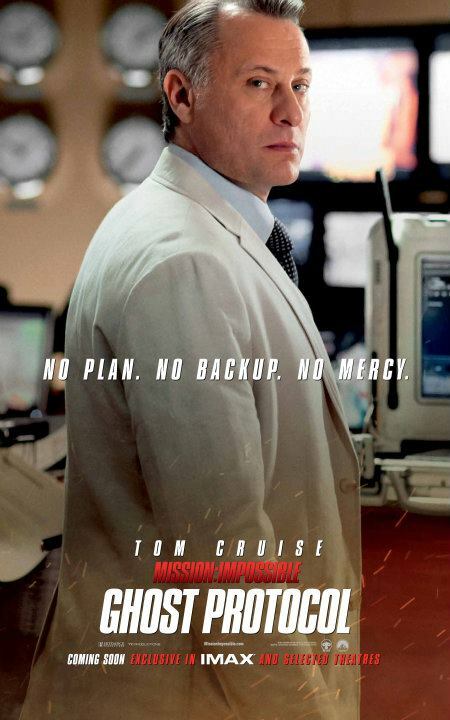 The marketing machine for Mission: Impossible - Ghost Protocol is in full swing leading up to its December 21st release date here in the States. 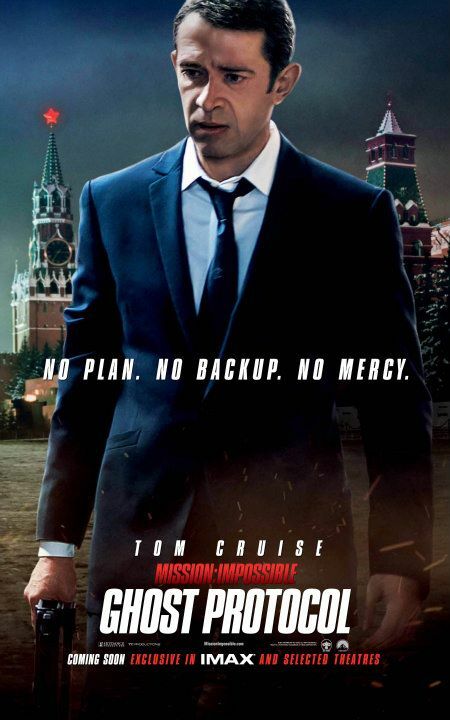 Of course, Paramount's efforts are focused more places than just inside the contiguous U.S., as was demonstrated when some very cool MI character posters popped up on the Russian website Kinopoisk.ru a few days ago. While they looked great, those of us who don't know how to speak Russian were at a loss as to what the text on the posters might say. 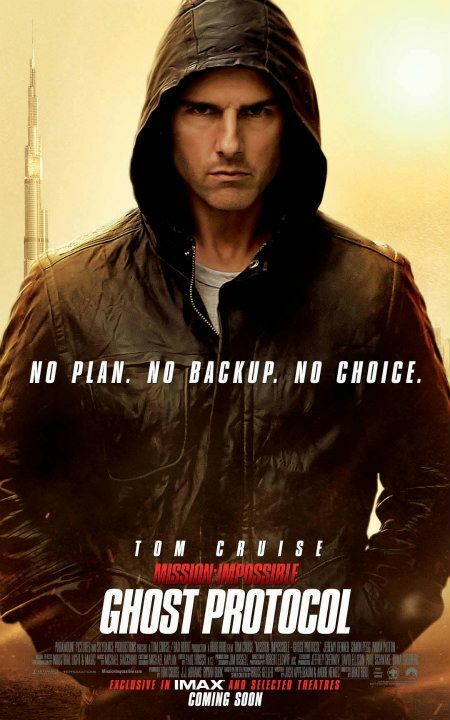 Thankfully those posters, and a few others, have now been added to Ghost Protocol's UK Facebook page, and you can check them out below. Aside from just looking nice, I think it's interesting how the slug line is different across the posters. 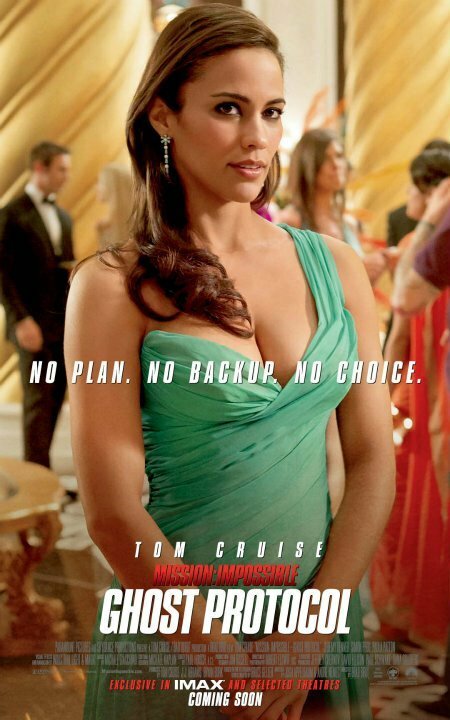 The core IMF team of Tom Cruise, Jeremy Renner, Simon Pegg, and Paula Patton all get "No Plan. No Backup. 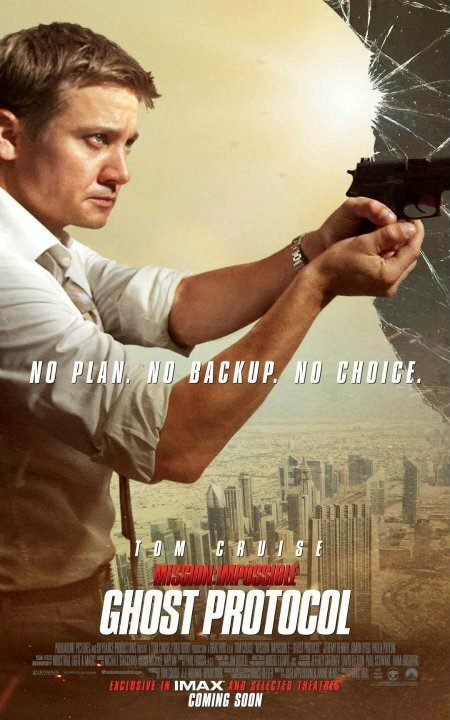 No Choice," which fits in with the movie's conceit of the team being framed for bombing the Kremlin and having to go on the run. 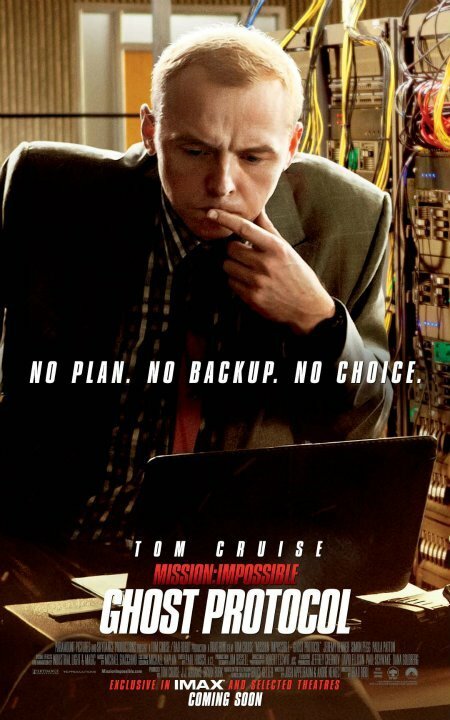 However, if you pay attention, the text on the other posters reads "No Plan. No Backup. No Mercy." Presumably this is flagging these folks as the villains of the piece. 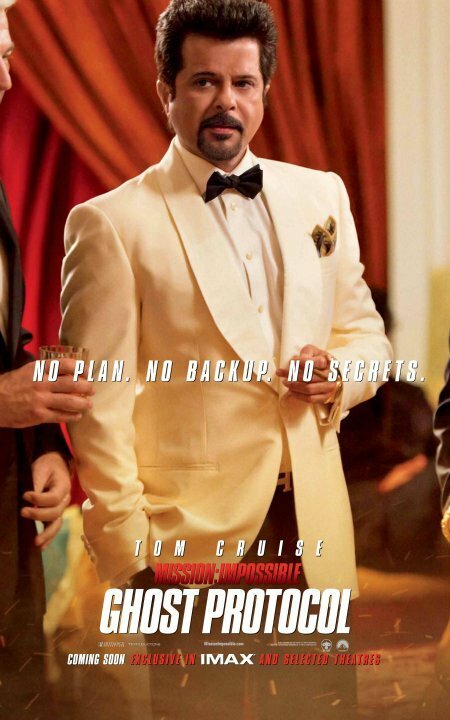 But what about the dapper-looking Anil Kapoor (Slumdog Millionaire)? His reads "No Plan. No Backup. No Secrets." No clue what that implies about his character, but it's certainly fun to speculate. Also, these people should really stock up on some plans and backup. Here's the Cruise image, and you can check out the others in the clickable gallery below.